We are back with another Best Albums feature from a year gone by. If you missed 1979, check that out after you're done here. Let's go back 23 years... In the year 1995, Bill Clinton was President of the United States and minimum wage was $4.25. You may recall the televised trial of a certain famous football player turned actor that was found not guilty of the murder of his wife Nicole Brown and her friend Ron Goldman. 168 people lost their lives in the bombing of the Alfred P. Murrah building in Oklahoma City. Microsoft launched its Windows 95 computer operating system. Toy Story, Batman Forever, Jumanji, Seven and Apollo 13 were topping the box office charts. Matlock, Northern Exposure and Star Search (featuring Ed McMahon and the discovery of many talents that would go on to achieve fame and stardom) ended their television runs. In 1995 we said goodbye to many great talents in the music world: Bob Stinson (The Replacements), rapper Eazy-E, The Doors' producer Paul Rothchild, Selena, Sterling Morrison (The Velvet Underground), Dwayne Goettel (Skinny Puppy), Jerry Garcia (Grateful Dead) and Blind Melon's Shannon Hoon. As always, Sarah and I enlisted the help of our regular contributors & friends to select Top 10 albums. In addition, everyone handpicked a track from each album for you to enjoy in our Best Albums of 1995 Spotify playlist at the bottom of the page (unfortunately there are a few albums not available on Spotify - we encourage you to locate those elsewhere). If you'd like to share your own 1995 favorites, please comment below. Stay tuned to see which year is coming next! About My #1: March 28, 1995. My brother and I were hanging out at Tower Records in Phoenix on 40th Street & Thomas (I continue to glance over whenever I drive by that intersection and reflect on how sad it is that Tower is no longer.) Anyways, over the store speakers is the unmistakable voice of Peter Murphy... but wait, it's a song we've never heard before. The clerk (a fellow Bauhaus / dark arts fan) tells us its the brand new single 'The Scarlet Thing In You.' Fast forward 2 weeks and the album Cascade is out. Within weeks that became - and remains to this day - my favorite solo album from the man. That summer was magical. Downtown Tempe, Arizona was a great place to wander around, with record stores and live venues around every corner. Hayden Square Amphitheatre was a small, open-air concert space just off Mill Avenue, a few blocks from the university. I attended many great shows there, standing under the stars or inside the neighboring Gibson's venue - Low, Buddy Guy, The Creatures with John Cale, The Legendary Pink Dots, My Life with the Thrill Kill Kult, Gin Blossoms with Del Amitri - but man, the night of July 18, 1995 was one for the books. An unknown folk singer from Alaska, with a penchant for yodeling and living in a van down by the river, opened the show to the appearance of confusion on many faces of the mostly black-clad crowd. A few months later we got invited to a private show of hers, by that time Jewel was becoming a household name. But that's not why we're here... Peter Murphy walked out on stage and opened with 'Wild Birds Flock to Me.' I remember goosebumps on my arms while looking over at my brother with an expression that said, 'this is a moment of our lives that we will never forget.' We shared that same look 16 years later when we were on stage together and I glanced over to my right and there was the man himself, waiting in the wings watching our set as our band Audra supported him on his stop in Tempe. About My #1: Unbeknownst to me, I got my first accounting job in 1995. I was hired as what I didn't realize at the time was a Billing Clerk at a music distributor in Chicago because the guy who entered orders was going on tour with Poi Dog Pondering. I ended up getting my degree in accounting so that job was a happy accident. A substantial perk of working there was having access to all the import releases. "New Music Fridays" wasn't the global standard until only 3 years ago so the US had to wait at least 4 days when an album dropped if it was even released stateside. 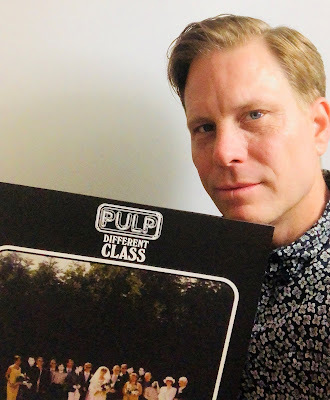 In the case of Pulp's Different Class, the domestic release was 4 months out but this time I had the advantage. Different Class is an opus for the working class, sly anthems about the seedy allure of broken people. As an anglophile, this album is a snapshot of British culture yet it resonates with anyone outside of the UK disillusioned by societal norms. Holding down a job while going to college was challenging. I recall standing in line for textbooks listening to a conversation about an extravagant summer in Turkey followed by a rough night at a Southside club that didn't have bottle service. And here I was grateful for my financial aid voucher and working extra hours over the break. 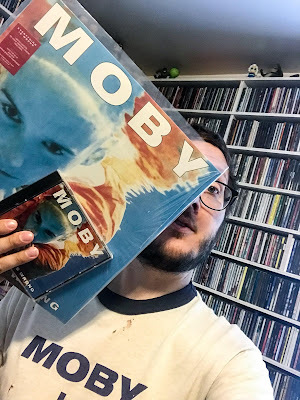 These are the experiences that molded my affinity for Different Class - it's not just a favorite album of mine but an on-going gift that has connected me to like-minded people spanning miles and decades. My Honorable Mention: Erasure - s/t. Rather than the effervescent pop songs you may associate with Erasure, 1995's self-titled album is a journey through more experimental compositions, soulful melodies and floating interludes. Co-produced by The Orb's Thomas Fehlmann, familiar cosmic blooping intertwines with unexpected layers of vocals from the London Community Gospel Choir and Diamanda Galás. This is one of those albums where the delivery is so strong on certain songs it outweighs the ones that fall short which is why it is worth mentioning. 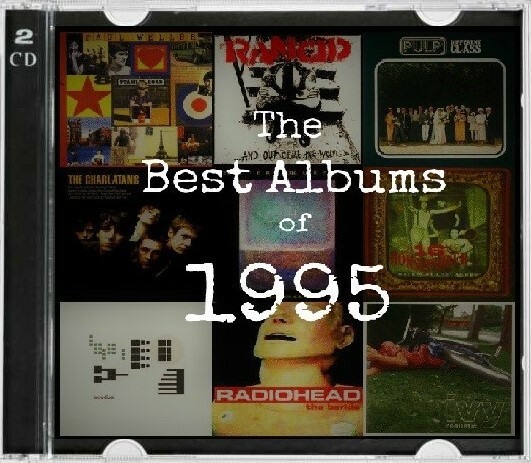 About My #1: 1995 - another year that stands out. I had packed up and moved back to Ft. Collins, CO and was staying at my cousin's, taking a job at a movie theater and not making very much money. I would look forward to every Tuesday which was the day we would drive the back roads to downtown Denver. The best part of this drive was the cassettes we had made of our CDs so they could be played in the car. 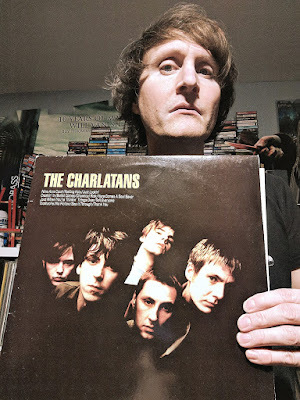 The Charlatans was the one that got the most attention, right next to Inspiral Carpets. For over 50 miles each way it was maximum tunage cranked up to 11! Each song on this album has a mood I relate to. 'Crashin' In' is an absolute favourite, then 'Just When You're Thinkin' Things Over.' Bjork's Post dominated the rest of my time spent listening to music. It's probably my #1 in all things Bjork. Everything on my '95 list soundtracked every moment of my summer, making it my best year. Peter Murphy is special to me as it was my uncle's favourite album, with him passed on now. Whenever I listen to it, it brings back all the best memories of the summer of '95 and continues to be great. My Honorable Mention: The Chemical Brothers - Exit Planet Dust. This record was my first exposure to acid beats / electronica alongside Underworld and Goldie. I still find The Chemical Brothers relevant today. 05. Oasis - (What's the Story) Morning Glory? 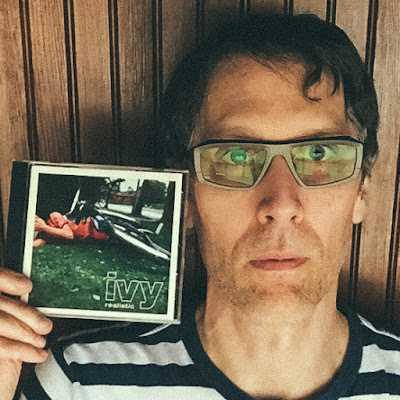 About My #1: Ivy’s Realistic was an unexpected discovery found on my college radio station in 1995. For me, it represents the very best of indie pop -- a sound that was on the rise in the early 90s. Dominique Durand’s French-accented vocals paired with the jangly guitars and simple songwriting was a fresh debut that seemed unique at the time. Honestly, there isn’t one weak track and I found myself playing it endlessly in the summer of 1995. The lyrics contain a lot of passion, longing and sadness matched with rich melodies. 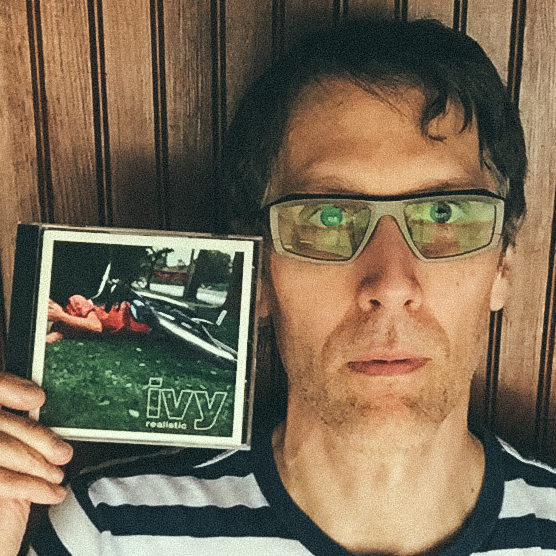 I’m shocked that Ivy didn’t rise up the charts over subsequent years with follow up albums and if you’ve never heard them before, they remind me of Stereolab vocally and perhaps a bit like Pale Saints or Saint Etienne musically, but their overall sound is uniquely Ivy. My Honorable Mention: Mojave 3 - Ask Me Tomorrow. Ask Me Tomorrow was originally a bunch of demos that 4AD picked up, so in many ways the tracks sound rough and stiff. At the same time, there’s a lot of beauty in this debut album that veered away from feedback and echoes with Slowdive, to an organic acoustic sound more associated to Nick Drake or Mazzy Star than anything. It’s a solid honorable mention, and perhaps it could be pushed down the list even further to more polished work of the time, but sometimes pure simplicity is best. About My #1: 1995 was a hard year to rank my top 9 albums (#10 was a dead heat between Adamjack – a Chicago indie darling at the time and Lisa Loeb, which was the soundtrack to a romance I had that year). I asked my brother to read lyrics from the Pulp booklet at my wedding, as if it was a bible (The Book of Jarvis). I went with Rancid due to the utter joy and brilliance of it all. They turned down a major label and walked away from their implied destiny to be a third tier KROQ band; the financial sacrifice to ensure lifelong freedom and integrity inspired the direction I gave my career and all of my major life choices since. Rancid concerts were complete love fests – free of the agro-mosh pits that plagued many other metal and punk shows. 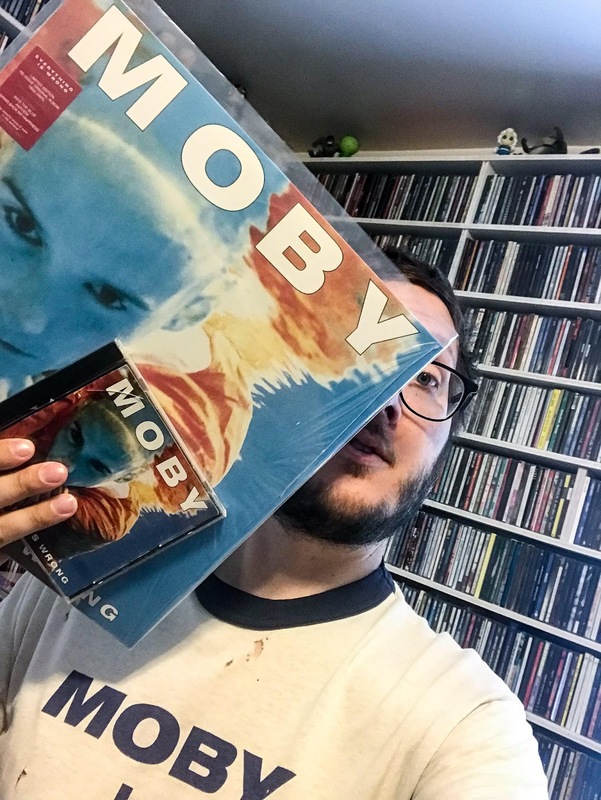 As a closeted, ultra feminine, gender non-binary person (I didn’t come out for another 12 years), their raucous music and collegial fan base gave me a connection back the parts of masculinity I enjoy. 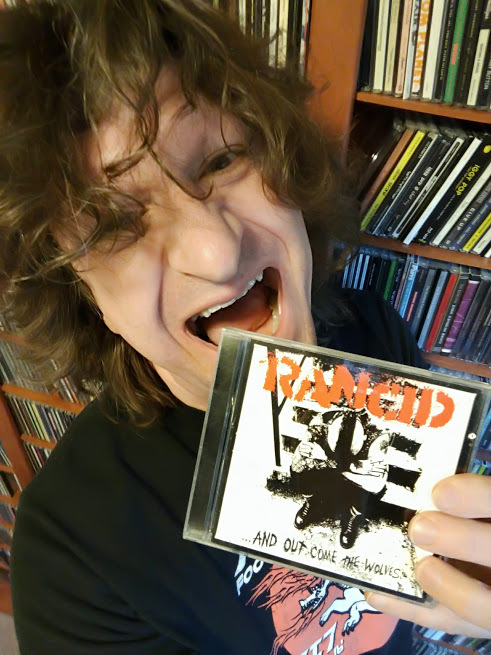 Rancid songs are remarkably fresh; they’re raw, honest, aggressive, painful, joyous, cathartic, hysterical and uplifting. It’s impossible to not blast through all 21 songs in a single sitting. Not every album since has been a winner, but the band, their offshoots, and every act on the Hellcat label have been a joy to discover for the past two decades (and counting). About My #1: 1995 was a year of change for me - big change of job, got together with my now wife of 20+ years and a move to London. It didn’t take me long to realise my wife’s taste in music differed wildly from mine, consisting as it did of 80s music with some Take That thrown in. One artist we both held in high regard was Mr. Weller in all his incarnations, and our first gig together was seeing him at the De Montfort Hall in Leicester on the tour to promote this album. He was supported, if I recall correctly, by Ocean Colour Scene and it was a great night. 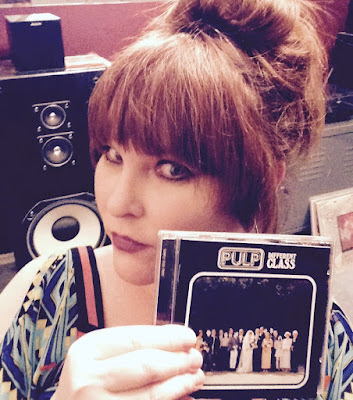 As for the album, I loved it from the start - its soulful tone, wonderful lyrics and typical Weller sound. I defy anyone to listen to 'Time Passes' and not be filled with a teary nostalgia for lost friendships. A truly magical album holding great memories. My Honorable Mention: The Cardigans - Life. Loved this album when it was released, no frills great singalong pop. I’ve always loved Nina Persson's vocals and this album is the one that cemented that love. To be frank, I haven’t listened to it a lot over the last 15 years so it was great to fall in love all over again. It sounds as fresh as the day it was released. I just couldn’t quite squeeze it into my top ten. About My #1: This was close, but as often is the case Radiohead won out in the end. This was their first great record and far from their last. These songs have just grabbed hold of me and never let go. 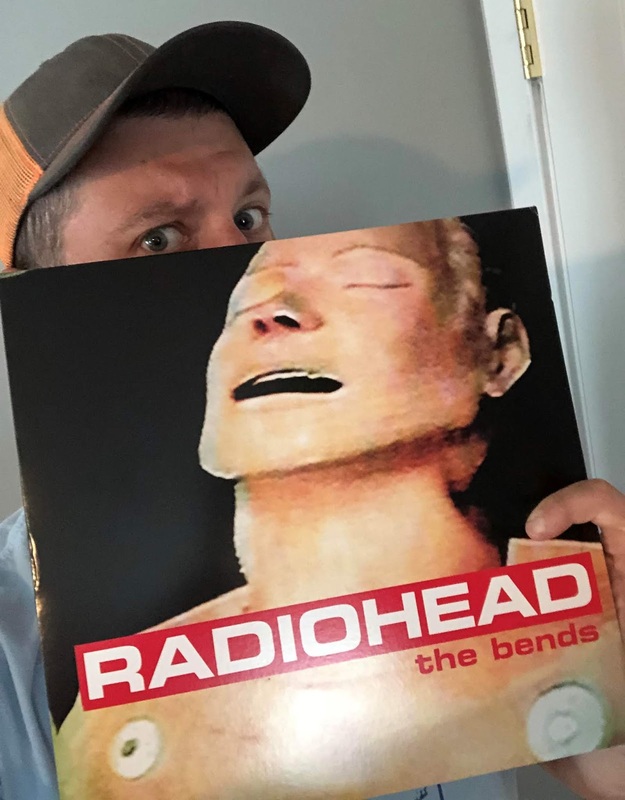 Love The Bends! About My #1: It somewhat takes an act of God to nudge any Rozz Williams recording out of the top spot on any list I might compile, especially an album that may be some of his finest work. In many ways, divine intervention is at the crux of my decision. Growing up with my step-father from the age of 6 months, the tapestry of his family’s heritage was on one hand a source of tremendous pride, on the other, a compendium of tales worthy of Twain and Poe alike. Growing up as an honorary McCoy, I was invited into a world that included indigo children, Pentecostal obedience, folk magick, the stern obedience of deeply-rooted Appalachian homesteaders, and a generational culture that survived only by working in the coal mines. An occupation that took my grandfather’s life when my dad was only five years old. Though my life was far-removed from such mystique, curiosity never ventured too far from its grasp. My adoration with gothic rock lead me down many rabbit holes, but perhaps the most intriguing was a sub-genre called gothic folk. 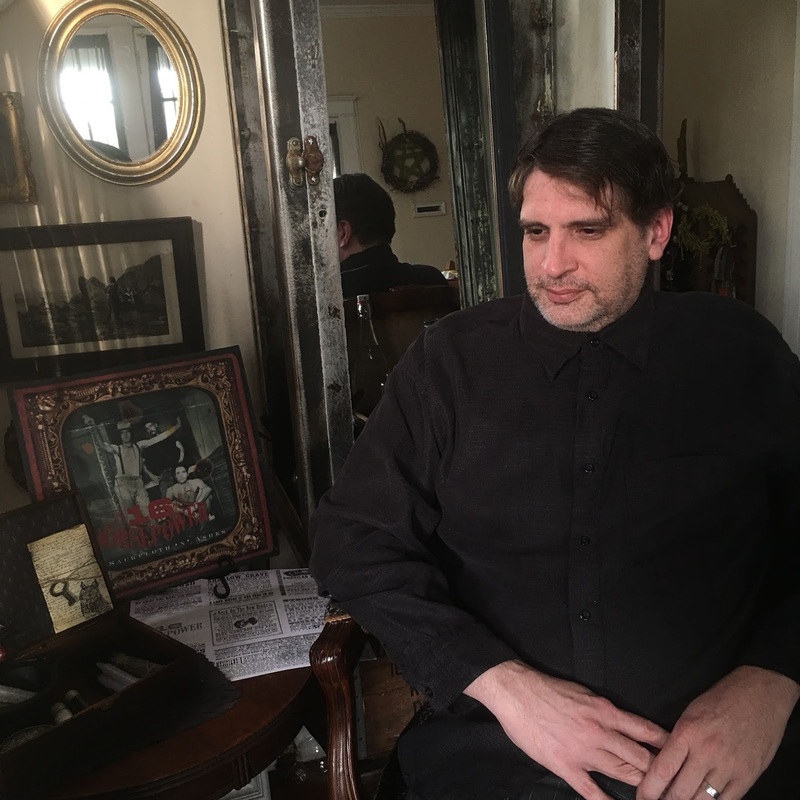 Much like neofolk is rife with nationalism, gothic folk, or more appropriately, Americana offers a snapshot of American culture that lies outside the mainstream; a slice of America that is proud, subsistent, and painfully misunderstood. Artists like Jay Munly, David Eugene Edwards, and Slim Cessna construct fables built around these constructs of Pentecostal ministries, revenge, fortitude, and survival hoisted on the backs of fractured men. The use of instrumentation generally relegated to regional music harkens to a bygone era of polka, bluegrass and folk roots. Sackcloth ‘N’ Ashes, 16 Horsepower’s debut, collects pages from my family’s oratory in such a precise and passionate way that it was as familiar to me as the portraits that dotted my parent’s walls. 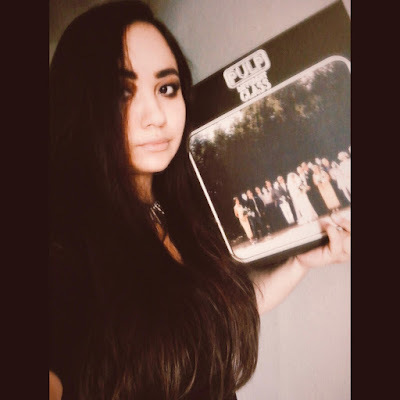 My grandfather left little of himself to the ages, but this album spills over with his story, and of an era that did not break under the weight of their struggles. My Honorable Mention: Man...or Astro-man? - Project Infinity. This album is a party for my ears! There are not many albums I’ve heard over the years that fill me with absolute joy (not something that’s on my checklist). Between the space age film samples, the incredible Pixies cover and rockabilly guitars buzzing through the speakers, even the darkest of hearts can’t resist feeling hopeful and nostalgic for a 1950’s sci-fi b-movie. 08. Oasis - (What's the Story) Morning Glory? About My #1: This was a close year, especially since I love Cascade and Southpaw Grammar. I just felt that the lyrics from Different Class pushed it to the top, not to mention the fantastic music. Pulp’s output from His ‘n’ Hers through We Love Life is damn near perfect, and Different Class is a shining example of how great Pulp really was. 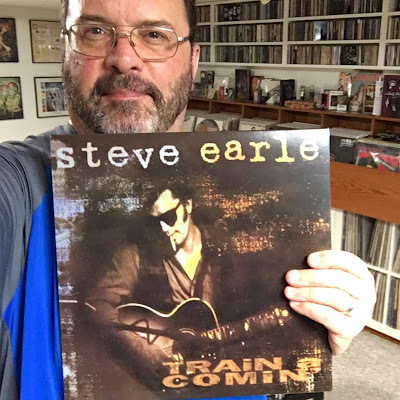 About My #1: One afternoon in the spring of 1987 (bear with me on the year there) I was in a record store in Cleveland and the owner was spinning Steve Earle’s second album, Exit 0. I had never heard of the guy before that but his songs pulled me in immediately. I asked the owner who it was and thus began my education in all things Steve Earle and the second wave of “outlaw country” music. I left that store that day with brand new copies of both Steve Earle albums, and became a more rabid fan with each subsequent release. Unfortunately, by the early 90s, drug use was getting the best of Earle, and he was eventually arrested for possession and spent some time in jail and then rehab for it. Most of us assumed that this was the end of a short but brilliant career. The laid back, very acoustic, old-timey sounding Train A Comin’ arrived on the scene in 1995 without much fanfare and surprised just about everyone. It includes a murder ballad, a song about a mercenary, a song about the Civil War, a duet with Emmylou Harris, a Townes Van Zandt cover, a Beatles cover, and a reggae standard (among other gems). 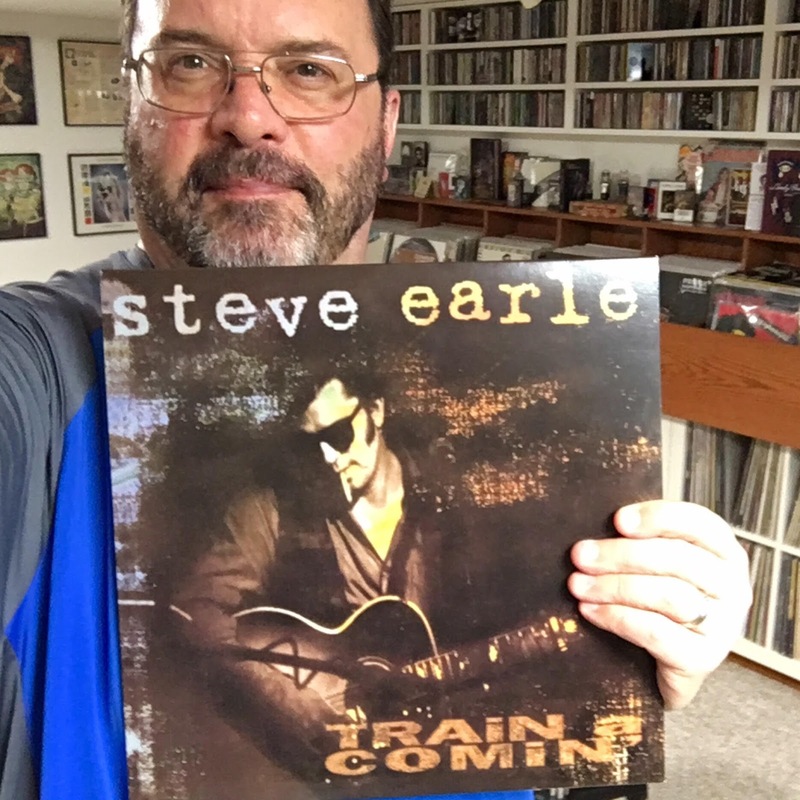 It’s brilliant, earthy and real, and has remained one of my favorite Steve Earle albums since its release. About My #1: Pulp’s Different Class was the soundtrack to my lonely post-graduation life. After high school, most of my close friends had moved away. I carried on with the everyday mundanities - taking college classes, struggling to find a job, and wondering if I’d ever find success/happiness/love. Jarvis Cocker’s witty lyricisms offered some solace during these excruciatingly dull moments. I am still fascinated with his voyeuristic storytelling style and uncanny ability to make “normal” events seem so intriguing. Different Class is undoubtedly one of the best albums in the Britpop genre, and I could not have chosen any other record as my number one pick. About My #1: When 1995 came up as the next year to select 10 best albums, my initial reaction was horror. Did I actually listen to any music at all that year? The beauty, of course, of this exercise is that it serves to remind exactly what you did in the year in question. So once I started thinking about it, the following emerged... My son was 3 so essentially I had been sleep deprived for the 3 whole years, my father died the previous year, we had a daughter on the way (though we didn't know she was a she), we moved into a new house and I had stopped going to see live music (see point on sleep deprivation). I had reached a stage where I didn't have any close friends living nearby who were into the music I was, and I read Q Magazine voraciously every month to keep in touch. I suspect many people will think that The Ghost of Tom Joad will be my album of the year, but frankly it's never been one of my favourite Springsteen albums. I was buying CDs (exclusively) based largely on the review section of Q Magazine. By a country mile, my favourite album of the year was Olympian by Gene - and it remains one of my favourite ever albums. I don't have it on vinyl, which is something I need to correct, but I find I often return to this album. In 1996 we bought a small Vauxhall Tigra as a second car, and I remember listening to this album a lot driving around in it. When I had a proper look at my list, I realised that the year was outstanding. My Honorable Mention: Paul Weller - Stanley Road. My Honorable Mention: Leaether Strip - Legacy of Hate & Lust. Found a year later, this album became a bit of an anthem for me and a gateway into a whole lot more. If you ever find me, I'll tell you the full story (insert wink emoji here).